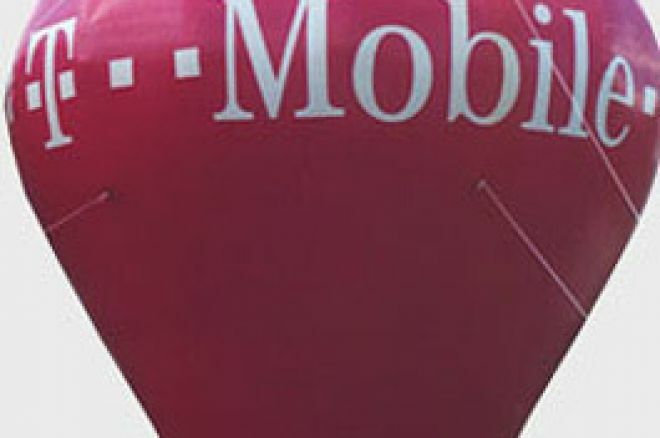 T-Mobile, one of the UK's giant mobile telephone providers are set to launch poker on mobiles. Real money poker will be on offer to T-Mobile customers via multi-player games on their handsets. T-Mobile has looked towards technology provider Cecure Gaming Limited to help provide the gambling services, which include poker, to mobile network's seventeen million customers. So, how does it work? Well, Cecure Gaming will supply free to download options for a variety of poker sites. The mobile clients can then access the sites by selecting the "Cash Games" option via the "games portal" in t-zones. T-Mobile players can also access poker on their mobiles by texting POKER to an advertised number. Cecure Gaming Limited's CEO Peter Karsten said in a press release this week, "Through this partnership we will enable mobile poker fans to play where and when they want." Neil Holroyd, T-Mobile's games and gambling manager enthused, "T-Mobile customers demand the latest entertainment, information and excitement from their mobile phone and receive the best in security and control when using such services. By working with Cecure Gaming we are confident that all necessary measures are taken to provide a secure environment for users to have fun and enjoy playing poker on their mobile phone." Some of the sites available to T-Mobile customers include: World Poker Tour, Poker Million and Aces Royal. Never heard of Cecure Gaming and want more information? Well, according to the press release, Cecure Gaming Ltd is formerly known as 3G-Scene. The company designs and operates real money, licensed and own brand mobile poker and casino games. The company provides complete software and service solutions which enable operators to offer safe, secure and regulated services to adult customers. 2% Tax Rate in UK for Online Gaming Companies?